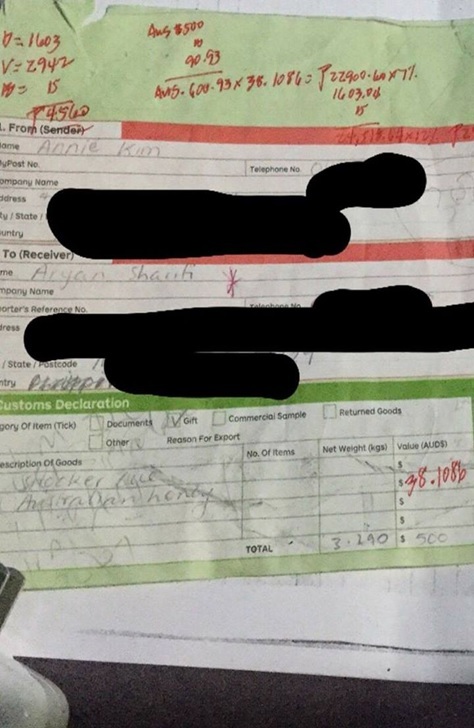 MANILA, Philippines - PHLPost customer Mary Joyce Fabellon Cardenas has decided to expose Customs officers who allegedly tried to overcharge her and her partner for a package that came from Sydney, Australia. Cardenas has decided to warn netizens about the alleged modus operandi of some employees working at PHLPost through a lengthy Facebook post. “Just wanted to share my experience at the Philippine post office Pasay (ems phlpost) as I feel all my friends and fellow Philippine citizens should be aware of,” Cardenas wrote. 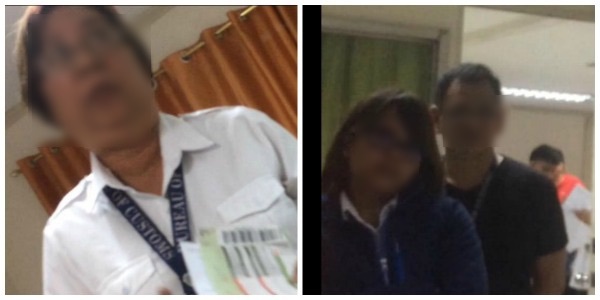 In her viral Facebook post, Cardenas shared several videos and photos showing an unidentified Customs officer assigned at EMS PHLPost in Pasay City who apparently attempted to charge them P4,560 for a package containing a billiards cue and two bottles of honey. Because Cardenas and her partner already paid P3,000 for shipping of the package which was supposed to arrive two months ago, they refused to pay the said amount. The couple also sought the help of the customer service but to no avail. Although they reported that they were verbally attacked by a woman to a number of officers, the issue was not addressed. It was past closing time already when the officers agreed to cut the cost to P2,500. Still, Cardenas and her partner didn’t give in and stood their ground. It wasn’t until the officers realized that the couple has videos of the incident that they decided to give them the package for a regular fee of P112 in exchange for the videos they recorded. “Finally they gave up and agreed to hand over the package for only a regular fee of P112 as long as we deleted the video recording we took during our visit there. (Funny how P4560 can be dropped to just P112),” Cardenas said. A case of tax evasion? A 2016 press release by PHLPost said that personal packages valued at P10,000 and below are now tax free based on the official Customs Administrative Order (CAO) 02-2016. In Cardenas’ case, the declared value of her items was priced at 500 AUD or about P19,000. In the comments section of Cardenas’ post, a certain Pamela Caolili accused Cardenas of tax evasion.